The Techno-Holics (Jeffie and Evil Pat) have created something that we all wish that we had at one point or another – Taser Gloves. By using capacitors from discarded disposable cameras, AA batteries, rubber gloves, a switch, and some wire and solder you can make these too. A video of these in action can be found here. It’s yet to be seen if there have the power to do anything other than make someone really mad, as a spark and a continuing charge are not the same, but I’m sure that it wouldn’t feel pleasant. The makers are already working on version 2.0 of the gloves that don’t need a button held down to charge the capacitors and possibly something better than Altoids tins to hold the electronics. This seems to be the first time that the idea of a “Zap Glove” from Fallout is being tried out in real life. 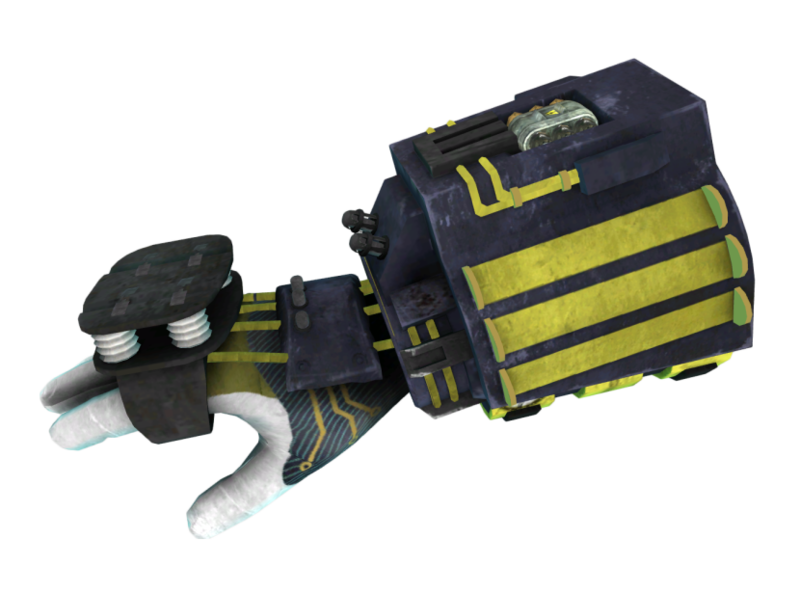 In Fallout the glove includes a pressure plate on the knuckles that, when struck, releases the zap of the glove. The Techno-Holics glove uses electrodes mounted on the middle finger and the thumb that release a charge when a circuit is formed but the resemblance is uncanny. There’s no plans to sell these at this time and it could be quite a while before they become legal so you will have to get out your electronics books (or go to the library) and make a pair of your own if you want some. Disclaimer: This is probably illegal and definitely dangerous so don't mess with this stuff. OK?